Erst gestern haben wir ja über das neueste Samsung-Netbook, das NC310, berichtet. Aber damit nicht genug. Der koreanische Megakonzern hat noch ein interessantes Exemplar in petto. Das N120. Das ist quasi ein vergrößertes N110, mit einer größeren Tastatur, einem größeren Akku und besseren Lautsprechern. Der Akku (der auch in das NC310 verbaut wurde, das nur in Asien verfügbar ist) soll sage und schreibe 10,5 Stunden Laufzeit liefern. Das ist rekordverdächtig. Der Preis ist leider noch nicht bekannt. South Korea, March 24, 2009. Samsung Electronics, a market leader in consumer electronics and world leader in IT technology, today launched the innovative Samsung N120 mini notebook. Samsung Electronics, a market leader in consumer electronics and world leader in IT technology, today launched the innovative Samsung N120 mini notebook. Although slim at just 10.1″, the N120 is designed for optimum usability and performance, with its full-size 12” notebook style keyboard, larger touchpad and an ultra-lightweight and robust slim line casing. Although slim at just 10.1 „, the N120 is designed for optimum usability and performance, with its full-size 12“ notebook style keyboard, touchpad larger and an ultra-lightweight and durable slim line casing. What’s more, its enhanced sound system means you can experience a rich multimedia experience when you are on the go. What’s more, its enhanced sound system means you can experience a rich multimedia experience when you are on the go. With the N120 you can enjoy high-quality sound anywhere using its integrated SRS 2.1ch system, featuring 2 x 1.5 Watt stereo speakers with a dedicated sub-woofer. With the N120 you can enjoy high-quality sound anywhere using its integrated SRS 2.1ch system, featuring 2 x 1.5 watt stereo speakers with a dedicated sub-woofer. It also features a larger touchpad and a full-size 12” notebook style keyboard with optimized key spacing, so you can type faster and make fewer mistakes. It also features a larger touchpad and a full-size 12 „notebook style keyboard with optimized key spacing, so you can type faster and make fewer mistakes. Its ergonomic design places less stain on your wrists, which all adds up to a more enjoyable and productive experience. Its ergonomic design places less stain on your Wrists, which all adds up to a more enjoyable and productive experience. Shielded by the robust Samsung Duracase, this mini notebook is more than capable of rolling with the punches. Shielded by the rugged Samsung Duracase, this mini notebook is more than capable of rolling with the punch. Having passed a grueling series of quality assurance tests, ranging from rapid temperature change to electrical surges, it sets new standards for survivability and resilience, giving you much less to worry about when you’re traveling. Having passed a grueling series of quality assurance tests, ranging from rapid temperature change to electrical Surge, it sets new standards for Survivability and resilience, giving you much less to worry about when you’re traveling. As well a being extremely portable, the N120 also delivers a significantly longer battery-powered performance of up to 10.5 hours* with a long-life 6 cell battery, independent of any power supply, for maximum freedom and mobility. As well a being extremely portable, so the N120 delivers a significantly longer battery-powered performance of up to 10.5 hours * with a long-life 6 Cell Battery, independent of any power supply, for maximum freedom and mobility. The unique combination of its power efficient LED display and optimized processing performance coupled with Samsung’s class-leading engineering ensures that you’re always ready to go anywhere and do anything thanks to the N120’s vastly improved battery life. The unique combination of its power efficient LED display and optimized processing performance coupled with Samsung’s class leading engineering ensures that you’re always ready to go anywhere and do anything thanks to the N120’s vastly improved battery life. To help you get the most out of life when you’re out and about the N110’s small form is packed with comprehensive array of the latest technology for maximum performance on the move, including advanced connectivity tools to help you stay in touch. To help you get the most out of life when you’re out and about the N110’s small form is packed with comprehensive array of the latest technology for maximum performance on the move, including advanced connectivity tools to help you stay in touch. An integrated 1.3 megapixel digital motion camera combines the resolution and image quality of a still camera with the sustained high frame rates of a video camera, so it’s much easier to keep in touch with friends and family, using video-conferencing or live messaging. An integrated 1.3 megapixel digital motion camera combines the resolution and image quality of a still camera with the sustained high frame rates of a video camera, so it’s much easier to keep in touch with friends and family, using video-conferencing or live messaging . To make it as simple as possible to exchange data, including documents, pictures and music, between almost any modern camera, peripheral or audio-visual device, the N120 incorporates a range of advanced connectivity tools, including a 3-in-1 memory card reader, 3 built-in USB ports and optional Bluetooth 2.0+EDR (Enhanced Data Rate). To make it as simple as possible to exchange data, including documents, pictures and music, between almost any modern camera, peripheral or audio-visual device, the N120 incorporates a range of advanced connectivity tools, including a 3-in-1 memory card reader, 3 built-in USB ports and optional Bluetooth 2.0 + EDR (Enhanced Data Rate). As well as safeguarding your data, the N120 also uses the latest medical technology to protect your health by providing a more hygienic computing environment. As well as Safeguarding your data, so the N120 uses the latest medical technology to protect your health by providing a more hygienic computing environment. Its anti-bacterial keyboard is coated with a special finish that successfully eliminates virtually all bacteria by making it almost impossible for them to live and breed. Its anti-bacterial keyboard is coated with a special finish that successfully eliminate virtually all bacteria by making it almost impossible for them to live and breed. “Now everyone can afford to experience exceptional portability and usability with the full sized keyboard and advanced communications tools of the ultra-light Samsung N120 mini notebook. „Now everyone can afford to experience exceptional portability and usability with the full sized keyboard and advanced communications tools of the ultra-light mini Samsung N120 notebook. It’s the perfect choice for anyone who needs to stay in touch on the go,” said Seong Woo Nam, Senior Vice President of Samsung Computer Systems Division. It’s the perfect choice for anyone who needs to stay in touch on the go, „said Woo Seong Nam, Senior Vice President of Samsung Computer Systems Division. The Samsung N120 will be available from April in European, CIS, Asian, and also in the US country. The Samsung N120 will be available from April in the European, CIS, Asian, and also in the U.S. country. Incorporating Intel’s smallest and lowest power processor, the Intel® Atom™ processor, which is specifically designed to deliver an amazing Internet experience using mini notebooks. Incorporating Intel’s smallest and lowest power processor, the Intel ® Atom ™ processor, which is specifically designed to deliver an amazing Internet experience using mini notebooks. 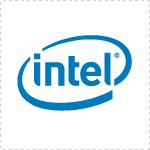 Based on an entirely new microarchitecture, the Intel® Atom™ processor increases energy efficiency to extend battery life, while delivering enhanced mobile performance and increased system responsiveness. Based on an entirely new micro architecture, the Intel ® Atom ™ processor increases energy efficiency to extend battery life, while delivering enhanced mobile performance and increased system responsiveness. Packed with multimedia features, Windows XP Home Edition aims to unlock the full potential of your mini notebook. Packed with multimedia features, Windows XP Home Edition aims to unlock the full potential of your mini notebook. Designed exclusively for home computing, Windows XP Home Edition puts the exciting experiences of the digital age at your fingertips. Designed exclusively for home computing, Windows XP Home Edition puts the exciting experiences of the digital age at your fingertips. From digital photos, music, and video to building a home network, Windows XP Home Edition brings you into the digital age with ease. From digital photos, music, and video to building a home network, Windows XP Home Edition brings you into the digital age with ease. Enjoy a full and rich multimedia experience on the go with high-quality sound thanks to the integrated SRS 2.1ch system, featuring 2 x 1.5 Watt stereo speakers with a dedicated sub-woofer. Enjoy a full and rich multimedia experience on the go with high-quality sound thanks to the integrated SRS 2.1ch system, featuring 2 x 1.5 watt stereo speakers with a dedicated sub-woofer. Makes typing easier and faster with a full-size 12” keyboard packed into a 10.1″ mini notebook. Makes typing easier and faster with a full-size 12 „keyboard packed into a 10.1“ mini notebook. Despite its small form, the ergonomic design, with optimized key spacing and larger touchpad, provides a more pleasurable and productive experience, with less strain on your wrists, fewer errors and faster typing speeds. Despite its small shape, the ergonomic design, with optimized key spacing and larger touchpad, provides a more pleasurable and productive experience, with less strain on your Wrists, fewer errors and faster typing speeds. The class-leading slim line design lets you do more on the move – and still look good! The class-leading slim line design lets you do more on the move – and still look good! As well as premium ergonomics and haptic styling, the elegant, durable casing ensures maximum portability and reliability – making it easy to carry in a handbag, briefcase or luggage. As well as premium ergonomics and styling Haptic, the elegant, durable casing ensures maximum portability and reliability – making it easy to carry in a handbag, briefcase or luggage. Delivers longer battery-powered performance of up to 10.5 hours* with a long-life 6 cell battery, independent of any power supply, for maximum freedom and mobility. Delivers longer battery powered performance of up to 10.5 hours * with a long-life 6 Cell Battery, independent of any power supply, for maximum freedom and mobility. This vastly improved battery life is guaranteed by the power efficient LED display and optimized processing performance coupled with Samsung’s class-leading engineering. This vastly improved battery life is guaranteed by the power efficient LED display and optimized processing performance coupled with Samsung’s class leading engineering. So you’re always ready to go anywhere and do anything. So you’re always ready to go anywhere and do anything. Experience optimum mobility with this ultra-light mini notebook, which weighs just 1.28 kg (including a 6 cell battery) – allowing you to carry less, but do more. Experience optimum mobility with this ultra-light mini notebook, which weighs just 1:28 kg (including a 6 cell battery) – allowing you to carry less, but do more. Despite its compact size, it still incorporates comprehensive functionality for maximum performance on the move, including advanced connectivity tools and an ergonomic keyboard. Despite its compact size, it still incorporates comprehensive functionality for maximum performance on the move, including advanced connectivity tools and an ergonomic keyboard. Shielded by the robust Samsung Duracase to ensure reliability and durability, this mini notebook is more than capable of rolling with the punches, giving you less to worry about when traveling. Shielded by the rugged Samsung Duracase to ensure reliability and durability, this mini notebook is more than capable of rolling with the Punch, giving you less to worry about when traveling. A grueling series of 54 quality assurance tests, ranging from rapid temperature change to electrical surges, set new standards for survivability and resilience. A grueling series of 54 quality assurance tests, ranging from rapid temperature change to electrical Surg, set new standards for Survivability and resilience. An integrated 1.3 megapixel digital motion camera makes it easier than ever to keep in touch with friends and family, using video-conferencing or live messaging. An integrated 1.3 megapixel digital motion camera makes it easier than ever to keep in touch with friends and family, using video-conferencing or live messaging. The camera combines the resolution and image quality of a still camera with the sustained high frame rates of a video camera. The camera combines the resolution and image quality of a still camera with the sustained high frame rates of a video camera. Enables simple data sharing with a host of advanced connectivity tools, including a 3-in-1 memory card reader, 3 built-in USB ports and optional Bluetooth 2.0+EDR (Enhanced Data Rate). Enables simple data sharing with a host of advanced connectivity tools, including a 3-in-1 memory card reader, 3 built-in USB ports and optional Bluetooth 2.0 + EDR (Enhanced Data Rate). That means you can easily transfer pictures, movies and data to and from virtually any modern camera, peripheral or audio-visual device. That means you can easily transfer pictures, movies and data to and from virtually any modern camera, peripheral or audio-visual device. Using the latest medical technology, the Samsung anti-bacterial keyboard is coated with a special finish that makes it almost impossible for bacteria to live and breed. Using the latest medical technology, the Samsung anti-bacterial keyboard is coated with a special finish that makes it almost impossible for bacteria to live and breed. So, virtually all bacteria are successfully eliminated and the notebook remains clean, creating a more hygienic computing environment. Thus, virtually all bacteria are successfully eliminated and the notebook remains clean, creating a more hygienic computing environment. Samsung’s own certification mark (ECO), which guarantees Eco-friendly features, including removal of hazardous substances and material, optimized energy efficiency and effective material usage for a more environmentally friendly product. Samsung’s own certification mark (ECO), which guarantees Eco-friendly features, including removal of hazardous substances and material, optimized energy efficiency and effective material usage for a more environmentally friendly product. All this is backed up with the peace of mind that your notebook is protected by Samsung’s class leading warranty service. All this is backed up with the peace of mind that your notebook is protected by Samsung’s class leading warranty service. In the unlikely event that something goes wrong with your notebook, the Samsung international warranty infrastructure will provide you with a fast track collection repair and return service for your notebook in order to minimize disruption and get you back working as quickly as possible. In the unlikely event that something goes wrong with your notebook, the Samsung International warranty infrastructure will provide you with a fast track collection repair and return service for your notebook in order to minimize disruption and get you back working as quickly as possible. Samsung Electronics Co., Ltd. Samsung Electronics Co., Ltd. is a global leader in semiconductor, telecommunication, digital media and digital convergence technologies with 2007 consolidated sales of US$105 billion. is a global leader in semiconductor, telecommunication, digital media and digital convergence technologies with 2007 consolidated sales of U.S. $ 105 billion. Employing approximately 150,000 people in 134 offices in 62 countries, the company consists of four main business units: Digital Media Business, LCD Business, Semiconductor Business, and Telecommunication Business. Employing approximately 150,000 people in 134 offices in 62 countries, the company consists of four main business units: Digital Media Business, LCD Business, Semiconductor Business, and Telecommunication Business. Recognized as one of the fastest growing global brands, Samsung Electronics is a leading producer of digital TVs, memory chips, mobile phones and TFT-LCDs. Recognized as One of the fastest growing global brands, Samsung Electronics is a leading producer of digital TVs, memory chips, mobile phones and TFT-LCDs.